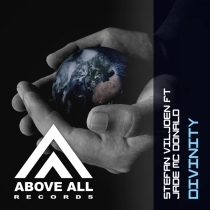 After the success of the vocal Trance track “Silence” with Nanje Nowack and Johan de Kock Stefan releases another vocal Trance gem! Together with Jade Mc Donald (SA) they present to you “Divinity”, a pure Trance track with a driving progressive bass and a beautiful melody! Remixes come from Alex Shore (UK) and Diving Analogue (SA) who both serve you with their fresh ideas of the track. Where Alex Shore chooses a more Progressive vibe, you can go uplifting with the Diving Analogue remix! Check more mixes on Beatport!